To say the least, the long awaited Diablo III has been having a rocky start. First, due to server strains, people weren’t even able to play the game, the world was full of cries and screams from day one buyers. Now there’s another serious issue plaguing the game, one that defiantly isn’t good news if it’s not fixed when the Real Money Auction House is released. Several reports are being put in involving their accounts being hacked, one of which happened to one of Eurogamer’s writers Christian Donlan, whose account was hijacked by someone called Anna. The conversation was captured by review editor Oli Welsh and it shows this person on the account simply claimed that they bought the account. Blizzard has been working on reports into them by rolling back the user’s affected characters, but this also has meant that some people have lost their progress while getting back any items and gold lost due to these hackers. Blizzard is offering an Authenticator, which is an added layer of security to help with these such incidents. 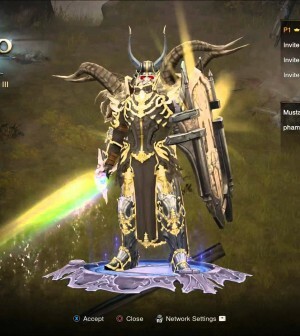 While Donlan didn’t have the Authenticator before the hack, other reports suggest that it isn’t helping and their account, with it activated and on, didn’t help and it was still compromised. All of this hacking snaffu also surrounds the DRM issue associated with this game, one that happens anytime a game has DRM and requires constant internet access. Besides having it so that it would stop pirating of their game, it was also planned to stop hacking attempts… both of which have failed. So this has lead to people that have been solely playing it as a single-player game and not using any of the online elements to also have their accounts hacked due to this requirement of online. As mentioned at the top of this post, what’s really worrying is that later this week the Real Money Auction House is slated to come out and, with continuing reports of hacking, means that some people can end up making a load of real money by getting into the right person’s account. With Blizzard still working on figuring out what’s going on, it seems wise to hold off on that till they make sure everything is tightly secured, as I’m sure that when the RMAH is finally out there, you can count more people will be trying to hack in. Now, if you have had your account compromised, you’ll need to contact Customer Service immediately to resolve the issue and you’ll, most likely, have your character set back a few levels, losing the progress and anything you gained after the level they set you to. I guess I can be happy I have an older laptop and am waiting to buy Diablo until I can save up for parts to build my own computer. Are Mythos/Torchlight the reason for the new art direction of Diablo 3?